If you want to be different, just be you. It’s obvious, isn’t it? After all, we are all unique individuals, there’s no-one else on the planet quite like us. So, ergo, if we are ourselves then we are different. 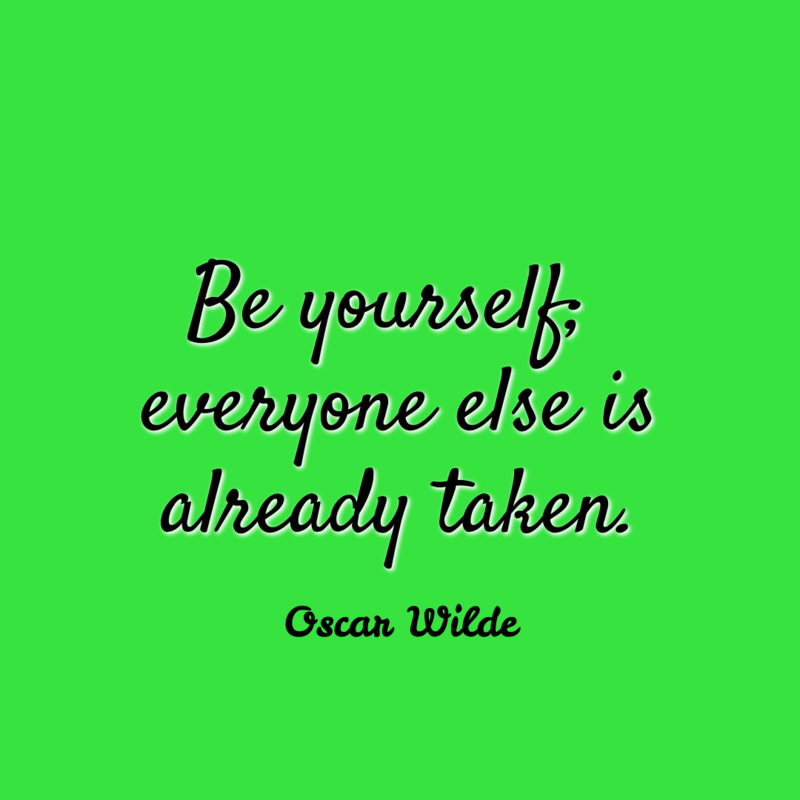 However, we are not brought up to be ourselves, are we? We are brought up to fit-in, to behave, to conform. We are taught to colour inside the lines, wear the uniform and accept what we are told. There’s not much in there about finding out about ourselves, is there? We are also taught to play many roles in our lives. Daughter, Son, Sibling, Friend, Spouse, Parent, Employee, Manager, Team Player, Leader. They are all different and place different expectations on us. We become adept at not only wearing many masks but also switching seamlessly between them. That’s got to get confusing, hasn’t it? Later in life, we are told we need to stand out, be different. As Seth Godin would put it, we need to be the Purple Cow. So we manufacture another mask, create a new image, one we think will be what people expect of us. Only that’s massively missing the point. We can’t be distinctive by meeting the expectations of others. By definition, that’s what they expect. We can’t be distinctive by pretending, either. People see through it, they smell the lack of authenticity. It’s really tiring too, all this pretending, and you get to a point in your life where you just can’t sustain it anymore. And so this is the point where you have to do one thing that makes you truly distinctive. 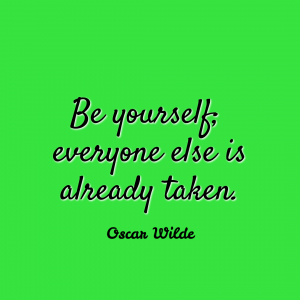 You have to be yourself. However, after all that fitting in and putting on masks and playing roles, there’s a good chance you’ll have forgotten who you really are. On top of that, showing up as yourself feels really scary, you feel very exposed and very vulnerable. Which is the key. It’s that vulnerability that is the key to your real self, it’s the thing that will lead you to authenticity and draw others to you. So, take a deep breath and screw up the courage to really be you. It’s the only way to stand out. This entry was posted in Uncategorized and tagged Brand, Personal Brand, Personal Development, Purple Cow, Transformation. Bookmark the permalink. Post a comment or leave a trackback: Trackback URL.